Bell lloch means 'beautiful place'. 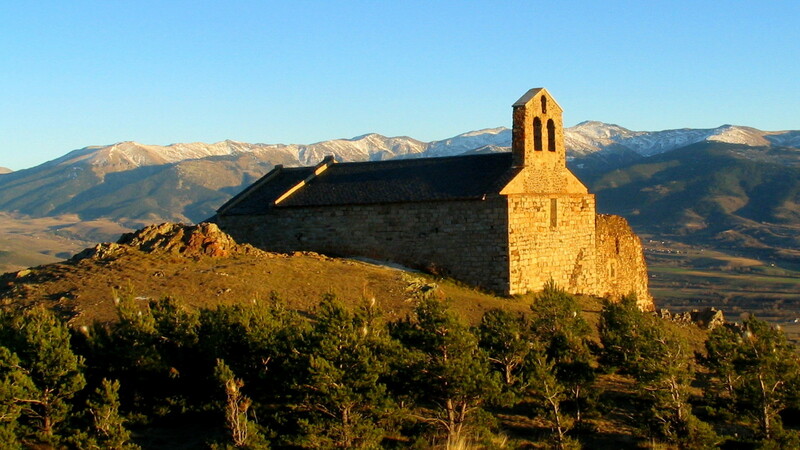 Visible from almost every place in Cerdanya, the chapel is placed on a round top dominating Dorres. 1 hour of marked out path will make you reach it and embrace an astonishing landscape from the Canigou peak to the Sierra del Cadí. Chapel of Belloc Geolocation (KMZ) using Google Earth.